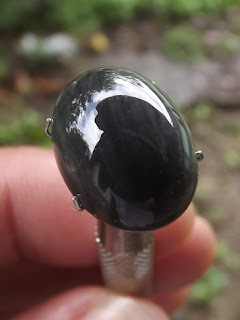 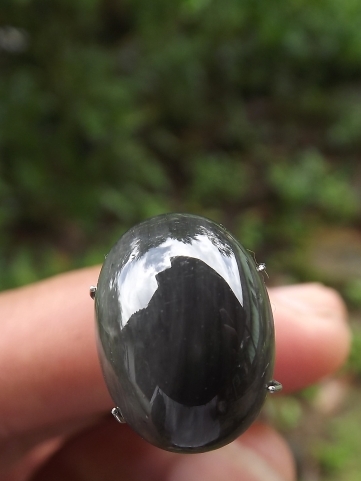 This is a nice natural Greyish Black Obsidian from Garut, West Java. 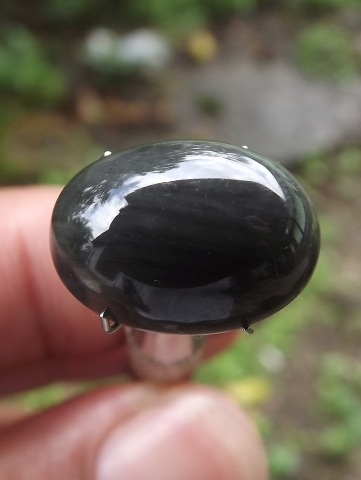 It has greyish pattern around. The dimension of the gems is 16,7mm x 12,1mm x 7,1mm. 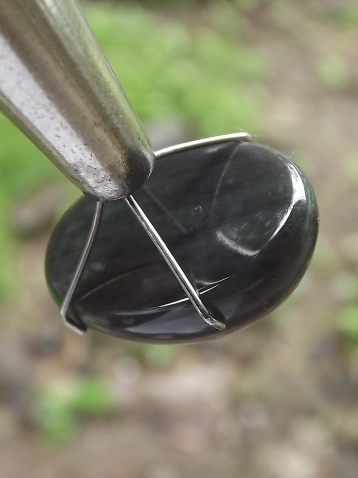 a good natural Glass, smooth and black Gemstone! 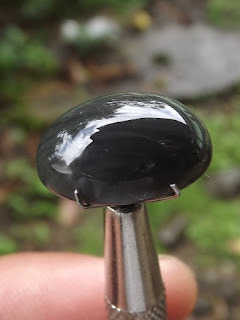 Natural Black Obsidian!